Aside from the valuable community service we provide through pawn loans, Wild Bill’s Pawn Shops also offers Federal Firearm License (FFL) transfers. A small fee of $15.00 is charged for processing and background check for firearms that have been ordered and shipped to our store. 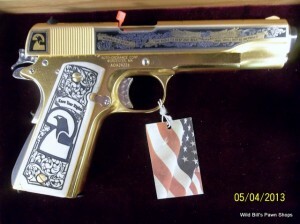 Our Ambler location transferred a firearm from American Legacy Firearms in Colorado (pictured above). 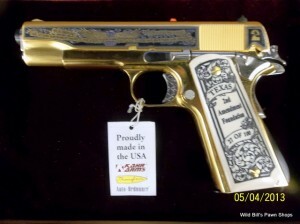 One of a limited run of Auto Ordinance Second Amendment Foundation engraved 1911. It was a beauty!!!! !